Eclectic and enticing luxurious elopements and small wedding packages catering for up to 20 guests (but who's counting?). Fancy and Free Weddings is the vehicle for delivering our passion and thirst for wedding excellence, in a quirky boho style. We dare to be different with your wedding day and we dare you to be too! Bring out the bohemian god and goddess within…..whether you’re a barefoot Bride, or just wishing to connect with nature and the wild elements on your wedding day, being ‘Fancy & Free’ has never been easier. 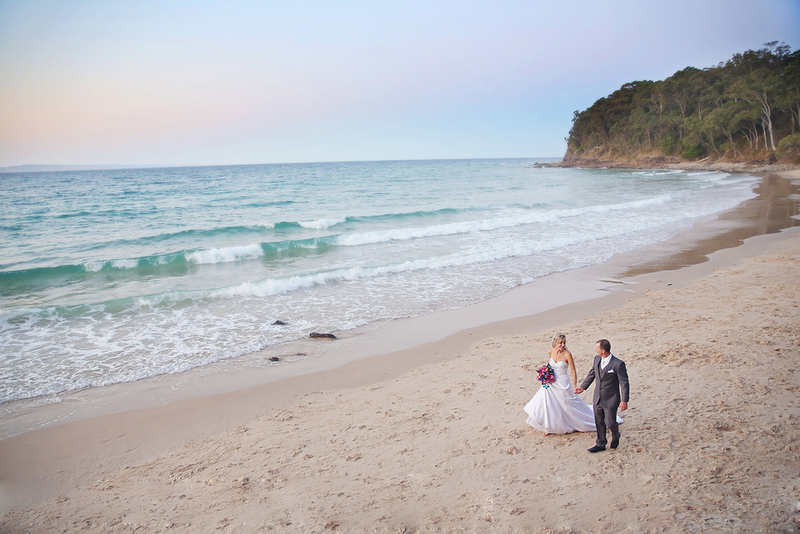 Noosa is stylishly fancy yet offers a relaxed laidback feel, making it Australia’s idyllic number one destination for weddings, and now elopements more so than ever! Noosa has it covered, from world heritage listed parks and wildlife, to a marine wonderland that includes epic malibu surf on the points, a river that offers more activities than Luna Park, and the hinterland that brings a rustic vintage charm to any heart. Noosa is a destination that is not only perfect for your wedding day, but also offers relaxation, fun, excitement and adventure for everyone. Let Noosa on the Sunshine Coast give you the skip to your step, the ebb to your flow and the salt to your skin providing the perfect backdrop for a sensational wedding day celebration, with the best professional wedding team to match! The style of Noosa is contagiously fun and fabulous and the weather and water is simply divine all year round, even when it's raining. Located only 30 minutes from the Sunshine Coast Airport & 1 1/2 hours from Brisbane. Noosa never disappoints - its impossible. I’m Natalie Skye 'The Sunny Celebrant', the creator of Fancy & Free Weddings and a Noosarian who literally lives, breathes and digests weddings on a daily basis. Some call this lucky, passionate or perhaps obsessed but I call it a way of life, fun and thrilling, and for this I’m truly blessed. After years of performing weddings as a young Noosa Civil Marriage Celebrant and having a ball doing so, it was only a matter of time that the demand grew for my popular elopement packages and themed events to be taken to the next level. I’ve been creating boutique and affordable Noosa elopement packages for wedding couples since 2008, and after years of planning I have developed the best little packages, with the best professionals in the Aussie wedding industry, at the best prices. Our friendly team are modern, lovable, jovial and relaxed yet always strive for perfectionism and professionalism. It’s so important to feel comfortable on your wedding day and with our team, we are as friendly as a Fijian, and have a knack for making you feel as comfortable as an old pair of slippers. It’s been proven! Let’s have some fun together on your Noosa wedding day … I dare you!